We’re turning 5! Can you believe it?? 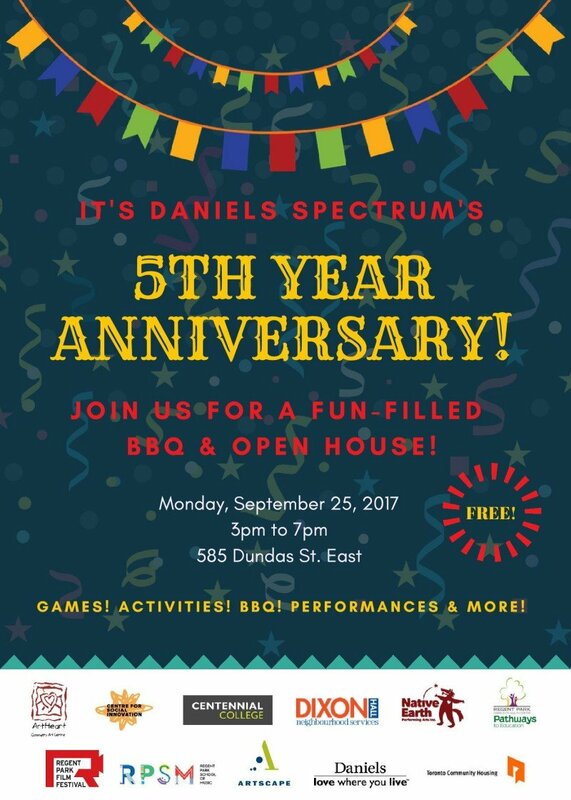 Join us as we celebrate Daniels Spectrum’s 5th year anniversary with a BBQ and open house. It’s been an incredible few years here at Daniels Spectrum and we want to celebrate this special moment with the whole community! This is your opportunity to explore our facilities, enjoy a delicious BBQ, take in a performance and meet the arts and social innovation organizations that call this home.